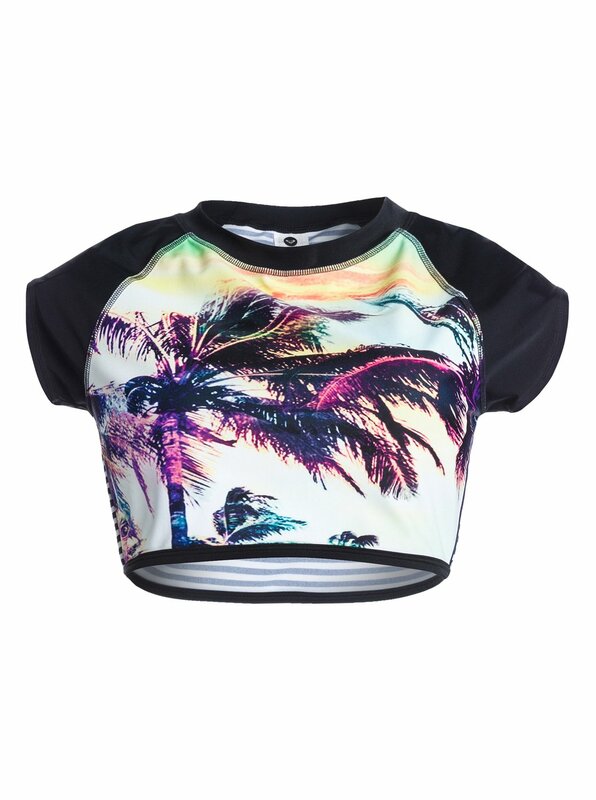 This smooth, stretchy crop top doubles as a rashguard and a bikini cover-up. 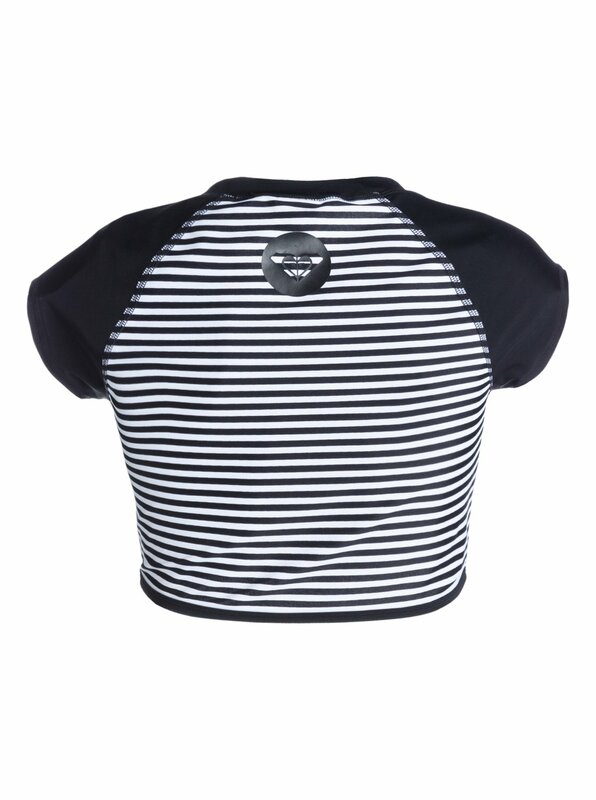 Styled with a vivid palm photo screen at front and sporty stripes at back, all eyes will be on you no matter if you're coming or going. Hand wash in cold water. Hand wash in cold water. 80% nylon/20% spandex. Imported.